Learning COPD facts, including the risks and causes, could help you avoid it. If you or someone you love has COPD, having the answers to some common questions will help you on your journey. Continue reading to find out the facts you need when dealing with COPD. Chronic obstructive pulmonary disease (COPD) is a group of progressive long-term diseases that make it more difficult for air to move into and out of the lungs. The most common of these are chronic bronchitis and emphysema. The airways carry air to and from the lungs through tubes called bronchi. When you have bronchitis, the walls of these airways become inflamed and produce a lot of mucus. This makes it more difficult for air to flow through the bronchi. Acute bronchitis can develop from a cold or other respiratory infection, and will usually improve within a few days without any lasting effects. 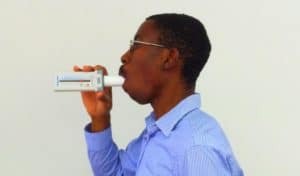 Chronic bronchitis, on the other hand, is a constant irritation or inflammation of the lining of the bronchial tubes, and is a much more serious condition. Your lungs are made up of small air sacs called alveoli which fill up as you breathe in and deflate as you breathe out. Oxygen passes from these alveoli into blood capillaries. Oxygen is then carried by the blood throughout your body. In emphysema, these air sacs become damaged, meaning that less oxygen reaches your bloodstream. Also, because of the damage, old air becomes trapped in the lungs, leaving less room for fresh, oxygen-rich air to enter. 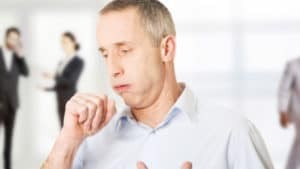 In Canada, COPD is estimated to affect approximately 1.5 million people who have been diagnosed with the illness, and an additional 1.6 million undiagnosed people. It’s Canada’s fourth-leading cause of death. 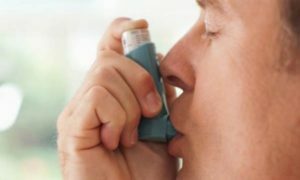 What causes COPD? Are you at risk? A lot of people who are at risk of developing COPD haven’t even heard of it. They may not realize that the symptoms they are experiencing are part of a condition that has a name…. COPD is caused by lung damage that accumulates over many years, making COPD most common in people over the age of 60. But it can develop as early as in the 40’s. In developed countries like Canada, smoking cigarettes is the single biggest risk factor for COPD. Approximately 90% of people who are diagnosed with COPD are current or former smokers. About 20-30% of smokers develop COPD. With that said, COPD does occur in nonsmokers. About one in six affected have never smoked prior to diagnosis. Other factors that may contribute to COPD include long-term exposure to secondhand smoke, air pollution, chemical fumes, or dust. While rare, some people have a genetic condition called alpha-1 antitrypsin (AAT) deficiency which may predispose them to develop COPD at a fairly young age (i.e., 20 – 50 years old). Few people who have this genetic condition know they have it, and those who do have it can get COPD even if they’ve never smoked or endured long-term exposure to chemicals or pollutants. Over time, people with COPD may feel as though their symptoms are becoming more intense and appearing more frequently, until they start to get in the way of basic tasks. The first step in diagnosing COPD is an evaluation with a doctor or lung specialist. 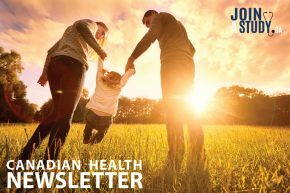 Getting a diagnosis involves completing a physical exam and talking to your doctor about your lifestyle, including your current and past jobs, family history, habits, hobbies, current medications, and symptoms. Pulmonary (lung) function tests, chest x-rays, CT scans, and arterial blood gas analyses may be used to assess breathing, lungs, and overall health. In some cases, laboratory tests are used to rule out other conditions. Other less common lung disorders and diseases may have similar symptoms or occur alongside COPD. COPD is both misdiagnosed and underdiagnosed. Getting a diagnosis can help to determine the best course of treatment. There is no cure for COPD and no way to reverse the lung damage that has occurred. It is a progressive disease, which means that it gets worse over time. However, treatment can help. What can COPD treatment do? Treatment for COPD helps to slow disease progression, ease symptoms, improve quality of life and prevent complications. Some of this may be accomplished through medication, while self-care and lifestyle changes are also critical. As the disease progresses, your doctor may suggest that you also use oxygen to feel better. Lifestyle changes are things that you can do yourself to improve your health. If you smoke, quitting or cutting back is one of the most important steps you can take. In addition, you should try to avoid triggers such as smoke, dust, air pollution, and fumes as much as possible. Staying active can improve overall health and symptoms such as shortness of breath. Pulmonary rehabilitation programs are designed to help COPD patients stay active. Good nutrition is also important for people who have COPD, as is proper weight control. If you have COPD, self-care also means seeing your doctor on a regular basis, and always in the case of a flare-up. It also means taking your medication as your doctor prescribed.